This was part of a roll of this rural festival which also included a number of greasy pole shots (I had to make a choice, which to send, but would be happy to send my favorite of the greasy pole.. obviously a contest of who can climb the greasy pole). 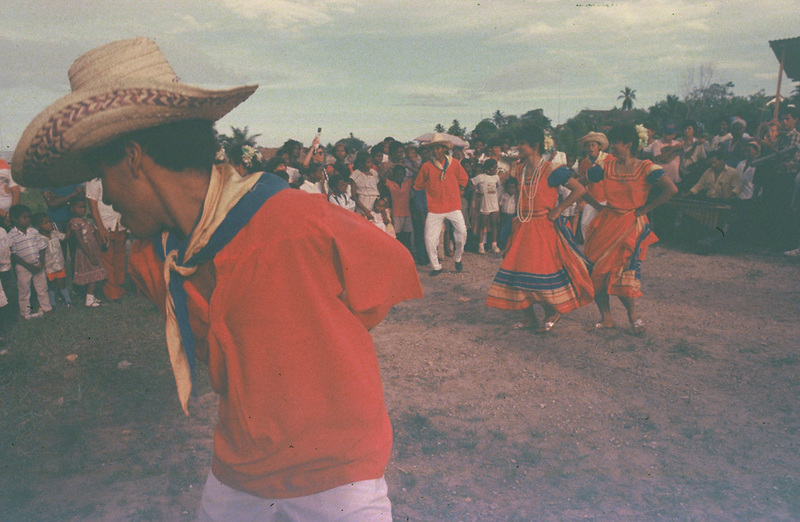 This photograph of a dance exhibition was taken in an area somewhat remote and makes its celebratory essence so meaningful and evocative. I love the reminder of these travels even if I don't exactly remember where I took this photo. I took three trips to Nicaragua in the late 80s. One traveling around the country, the other two to a remoted region on the Atlantic Coast, which included a couple day stay on a more remote sub-island traveled there by dugout canoe. A festival that includes regional dance always is uplifting.